Berkeley’s Zoning Adjustments Board approved the construction of a new six-story, mixed-use building on 2527 San Pablo Ave. at its Thursday regular meeting. The new San Pablo mixed-use project, item 3 on the agenda, will replace an existing vacant service station and contain 63 housing units total, including 11 below market rate units reserved for persons with intellectual and developmental disabilities. The ground floor of the building is allocated for commercial space and restaurant use. Rony Rolnizky, an architect and the applicant for the San Pablo mixed-use building, said at the meeting the building was inspired by his son, who is disabled and requires 24/7 care. 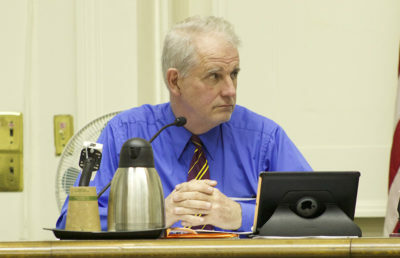 Multiple public commenters echoed Rolnizky’s statement, saying the project would provide a place to incorporate the intellectually and developmentally disabled with the larger Berkeley community. Other attendees, however, raised concerns at the meeting about the San Pablo mixed-use building proposal — multiple residents were troubled by the building’s proposed six-story height, stating it was too big and would change the character of the neighborhood. In addition, some commenters alleged that reserving the below market rate units for qualified intellectually or developmentally disabled persons could exclude other communities. 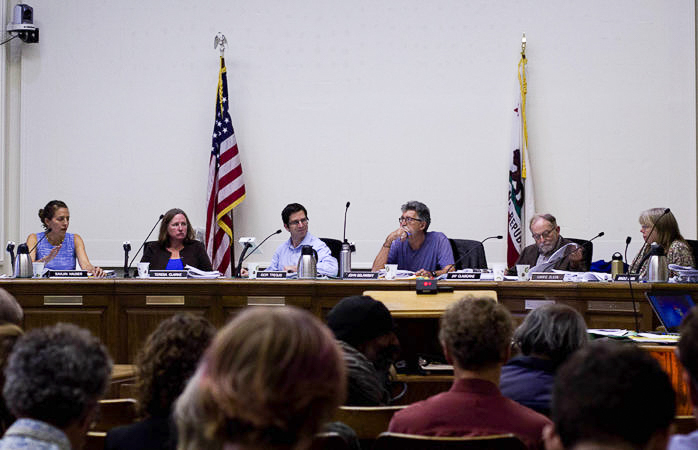 Some zoning board members also expressed uncertainty about how the request would interact with an ordinance passed by Berkeley City Council Tuesday, which prohibits housing discrimination based on source of income. 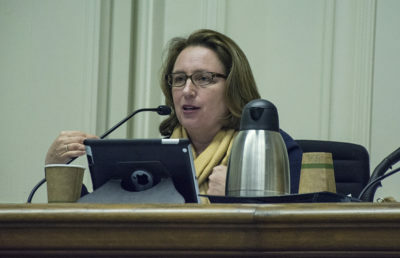 “If there is an issue with this new law, I think we can rely on (the) council to solve it,” said Zoning Adjustments Board member Carrie Olson at the meeting in response to concerns. 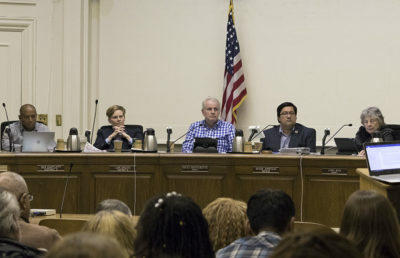 The San Pablo mixed-use building proposal was ultimately approved, with board members Patrick Sheahan, Brazile Clark, and temporary board appointee Leah Simon-Weisberg voting against the proposal. Item 2 on the agenda, a proposal to raise and add bedrooms to an existing apartment building on 3014 College Ave., was pulled from the consent calendar and continued to the board’s next meeting — board members cited a lack of information in the proposal documents. A proposal for a five-story mixed-use building on 3000 Shattuck Ave., item 4 on the agenda, was also unanimously continued to the next zoning board meeting. The zoning board will reconvene August 24.